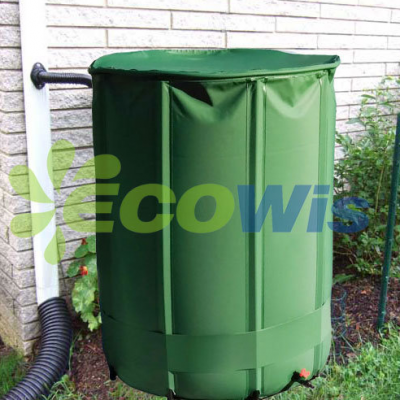 This rain barrel is collapsible making it easy to take with you wherever you go. A small spout on the bottom is compatible with a standard water hose. It can be stored away at the end of the season to prevent problems with it freezing up in winter. Can be used with standard 3/4 Inch hose ends. Includes filter tap and overflow. Unique collapsible rain barrel plus water diverter. Capture and store rain water from downspout. Zippered top plus mesh screen to filter out debris. Holds 100L to 1450L of rain water. Strong and UV resistant for years.